Many people journal nowadays. 20 years ago it was called keeping a diary. (Remember those small books with a lock on it?). Today there are numerous apps which facilitate creating and maintaining a journal. People journal for different reason: some journal to obtain a cathartic effect; others journal to keep a running history of the days, weeks and months. Still others journal to become introspective. 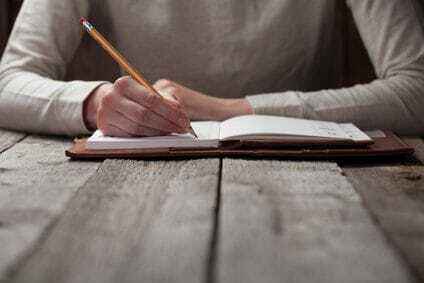 Some believe that the mere act of writing creates an emotive reaction that allow you to be in touch with your emotions, feelings and thoughts. Typically journals are not meant to be to be read by others (especially that prying brother or sister). Journaling for a Social Security disability case, while employing some of the same techniques of “private” journaling, is very different in purpose and form. The purpose of journaling for a Social Security disability case is to document an event. The form is brief and historical. There are a number of medical and mental symptoms which can cause a person to be disabled and therefore qualify for Social Security disability benefits. The trouble is, many of those symptoms are “invisible” to physicians, examiners and judges. Invisible symptoms include seizures; headaches; pain of any kind; seclusion; isolation; panic attacks; bouts of uncontrolled diarrhea; falling; sleepless nights and incontinence. In a perfect world, a person suffering from any of these will discuss them with their treating nurse, therapist and physician. And, in that perfect world the treating nurse, therapist and physician will make detailed notes of the report of these symptoms. As we all know, the world is not perfect. We do not always report medical and mental symptoms to our treating healthcare professionals as we should, even we are asked how we feel. Sometimes when we do report the symptoms we do it in such a way that it lacks important and needed detail. The journaling solves many of these problems. The most important feature of journaling is that it creates a record. In legal proceedings, such as Social Security disability cases, this record is considered evidence. Journaling of the occurrence or happening of symptoms centers attention of the judge on these important matters. To make the journal more valuable, the entries should be created contemporaneous with the event. included in a contemporaneous entry should be the date and time of the event being documented. Finally, there should be a brief description of the event itself. The entries should be made by the person who is experiencing the symptoms. Sometimes, however, it is not possible for the that person to make those entries. For example, in the case of seizures, the person may not recall that he/she had a seizure but a family member may know. If that occurs, then the family member should make the entry and indicate why they are making the entry. The journal itself should be written using a spiral bound notebook or loose-leaf papers. If loose-leaf papers are used, it is a good idea to number each page so that they may be kept in order. In addition to giving them to the attorney representing you, it also is a good idea to periodically give the journal to your healthcare provider so that they can consider those journal entries when treating.